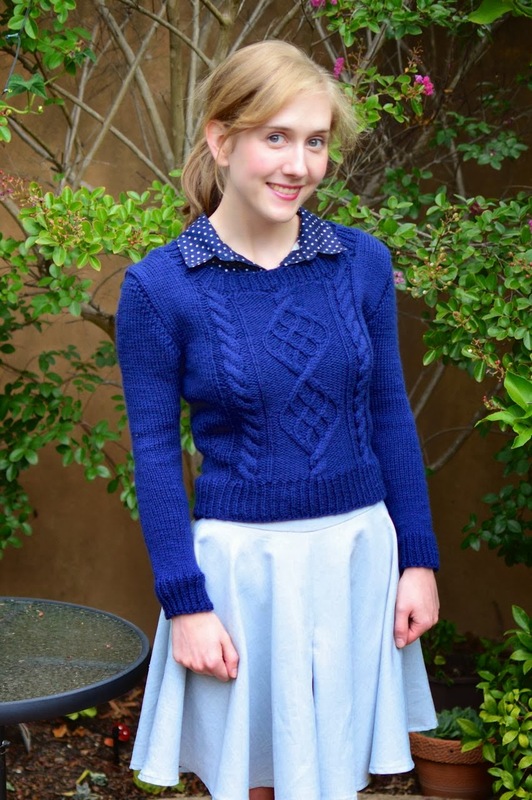 I've made another lovely jumper! 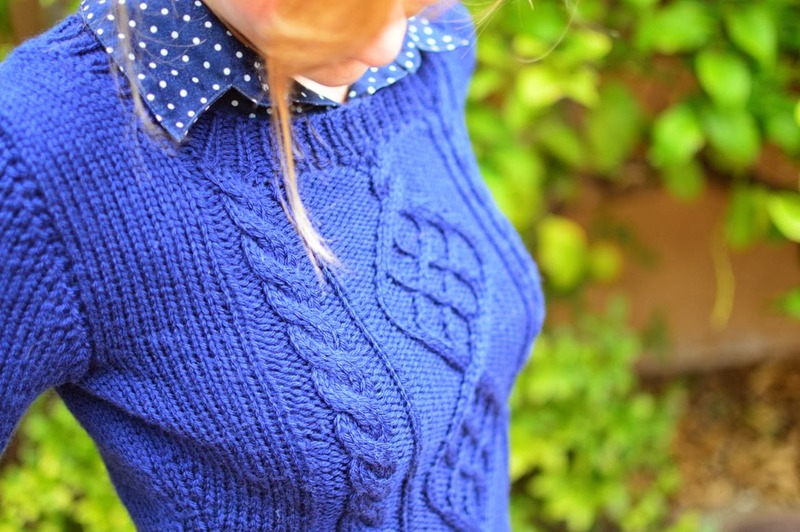 It took me a little while to get gauge on this top, the pattern says 5mm needles but the gauge was totally huge. 4.5 wasn't much better, so I went with 4mm. Two whole needle sizes down! I was a little worried while knitting, because whenever I showed anyone they said "Oh it's so small!". But it turned out perfect. 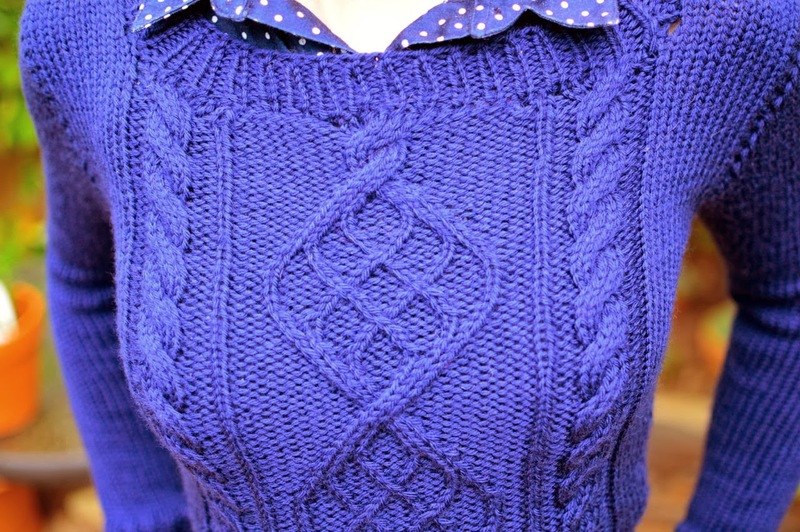 This pattern features exciting cables down the front. 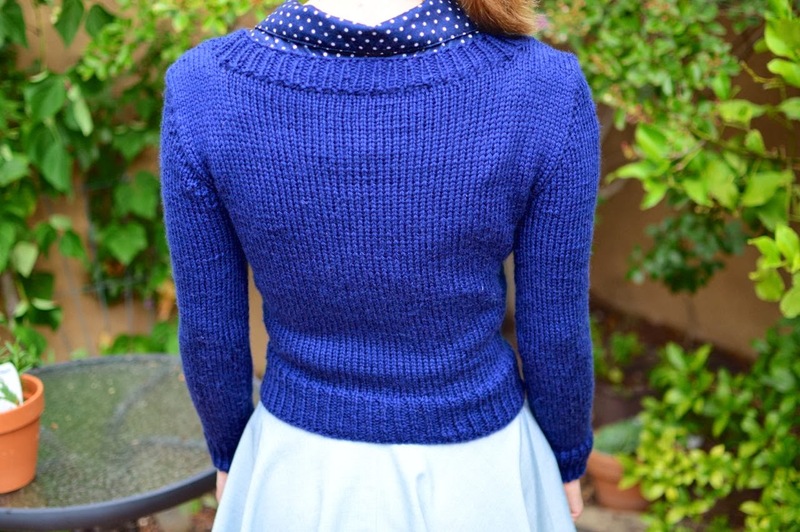 I hadn't done cables like this before but the pattern has detailed instructions. Once I got going it was fine! 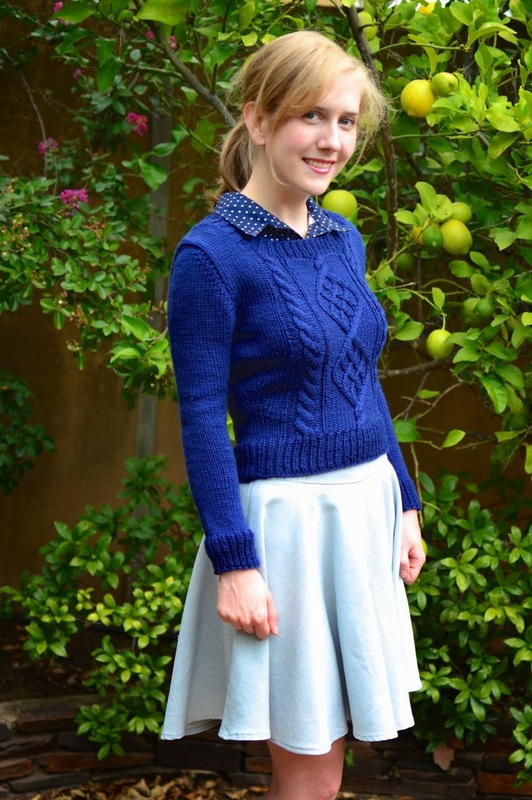 Another nice thing about this pattern, is that you only need one needle size. The ribbing is all knit on the same size needle, and it doesn't gape or anything. The wool is from Bendigo Woolen Mills as usual, and I'm using the Luxury wool. It's barely itchy at all, which is something that usually bothers me. My Milena was knitted with their Classic wool, which is much itchier (I'm thinking of lining the arms to help - blog post to come if I do). The sleeve caps are shaped with short rows, which are way easier than I thought. Gives a nice neat effect too. I made my sleeves full length instead of 3/4 because I don't have many 3/4 length blouses to wear with it. So yes, very happy with this jumper. In these photos it looks like the sides are wrinkling but I don't think it's a problem. I just needed to pull it down! Now I'm knitting a jumper for my lovely husband Charles! It's my first time knitting fair isle, so stay tuned for that!! Looks great! Perfect fit. You're a pro! Thank you! That's the good thing about knitting - if you make it slightly too small it will look good because it stretches to fit! I'm blown away by your knitting skills. 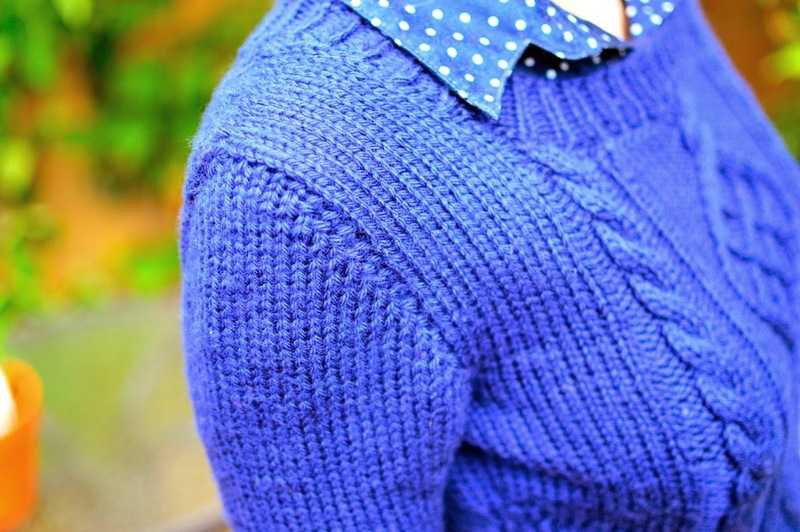 The colour of this jumper is so gorgeous too!